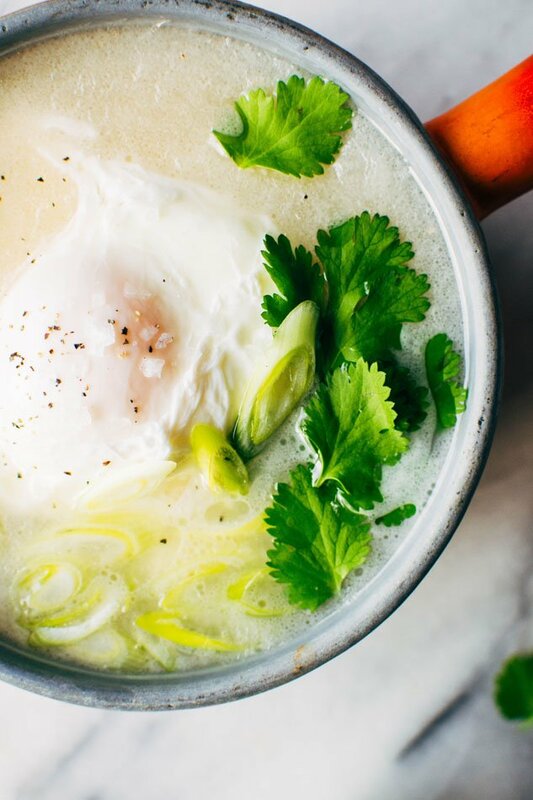 I was hesitant to share this recipe with you because it’s so simple, but simple isn’t always bad, and in the case of this simple sipping broth with a poached egg, simple definitely = good. Last weekend I got to spend a few days in Portland with a couple of my best babes who flew up from SF. 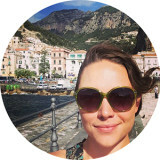 Could there be a better city for a ladies weekend? I don’t think so. Brunch at Harlow… Think vegan brunch dishes but with EGGS! Literally the best ever. Delicious fresh juices, smoothies, and bloody mary’s. I had the mercy blues breakfast plate over quinoa instead of polenta and it was DIVINE. Chipotle cashew hollandaise FTW! Shaking our tail feathers at the Aladdin Theater (also known as the place I met my husband!) to some super funky Karl D.
A super delicious dinner with yummy wine at The Woodsman Tavern – this little neighborhood gem was right up the street from our airbnb, and while it seemed like we were going to have to miss eating here as the wait was over an hour, 3 spots magically opened up at the bar right when we were about to head out the door. And so roasted brussels sprouts + mushrooms with smokey cream, sbrintz cheese and cripsy onions, scallop crudo and a fried pork shank with collard greens paired with the tastiest off dry reisling toooootally happened and was nothing short of amazing! A super fun night cap and little booty wiggle at the Landmark Saloon on our way home. Tiny classy joint with a sweet and talented western swing band. And while we made a good start on our list of things to do in PDX it didn’t seem fair to pack my bags and go after a short 48 hours with my beebs. One place that I’ve wanted to visit every time I’ve gone to Portland for pretty much the last 6 months is this place called Broth Bar, “Portland’s First Dedicated Bone Broth Cafe”. Somehow, it’s never made the cut, and alas, there wasn’t enough hours in the day to fit it in this time either. But I knew there was another recently opened location in a cute little artisinal market in downtown Olympa, WA – right on my way home! So of course, I had to stop. First I popped in to a little shop called The Pantry, a quaint little grocer where I got some handmade tamales for my hunny, some pastured eggs and a probiotic kimchi shot for myself, before heading over to the broth bar to order. They have a rotating broth selection each day, and that days choices were pork and chicken. Since I have a sensitivity to chicken I went with pork, and ordered it with freshly grated turmeric, green onions, chili oil, and a steamed duck egg. Topped it with some alder smoked sea salt and their house made gomashio. Holy moly it was soo good! 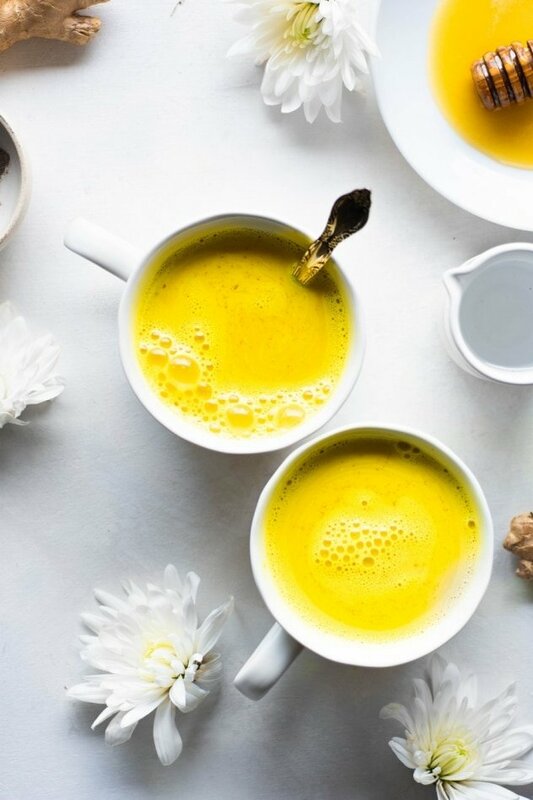 It made me remember how much I love making fancy (totally the word of the month, guys) little sipping broths at home whenever I feel like I need a little extra nourishment and warmth. And so when I got back home I grabbed a jar of my turkey broth from the freezer and thawed it out to make this tiny pot of goodness. This recipe is about as customizable as it gets. 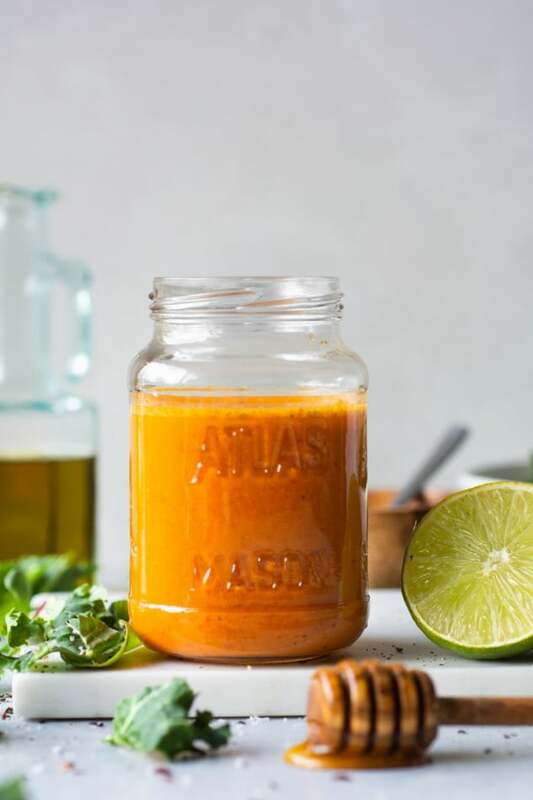 The only real mainstays that you need are a high quality broth (mushroom, veggie, turkey, beef, chicken, fish) some type of fresh herb + allium, acid // citrus, and a high quality fat. In this rendition posted here I used cilantro, thinly sliced green onion, coconut milk and lime juice. It’s kind of my go to combination but really your imaginiation is the limit! 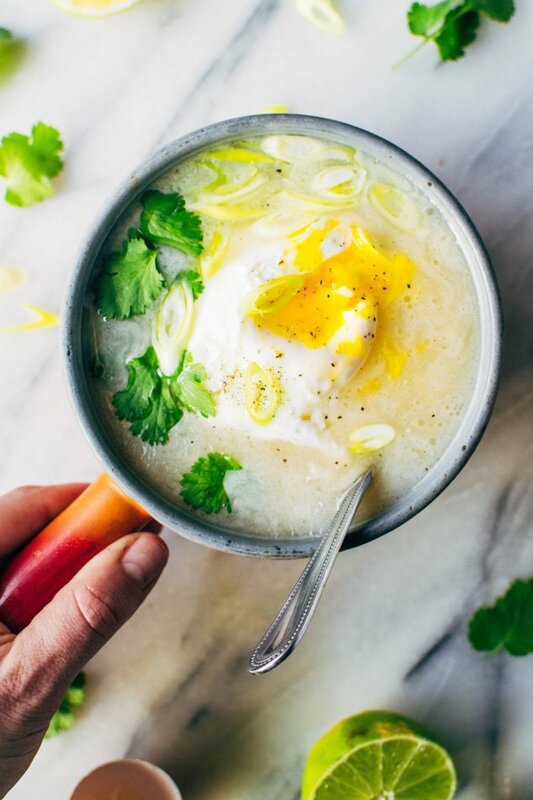 I always love adding an egg – poached, fried or soft boiled for some extra protein and healthy fat, but if you want to make a vegan version you can totally skip it. I also whisk in about a teaspoon of high quality gelatin cuz it’s good for the joints! But that’s another one you can skip if you don’t want to include it // don’t have any. One more thing! Have any random veggies floating around in your fridge? This is the perfect place to use ’em up! 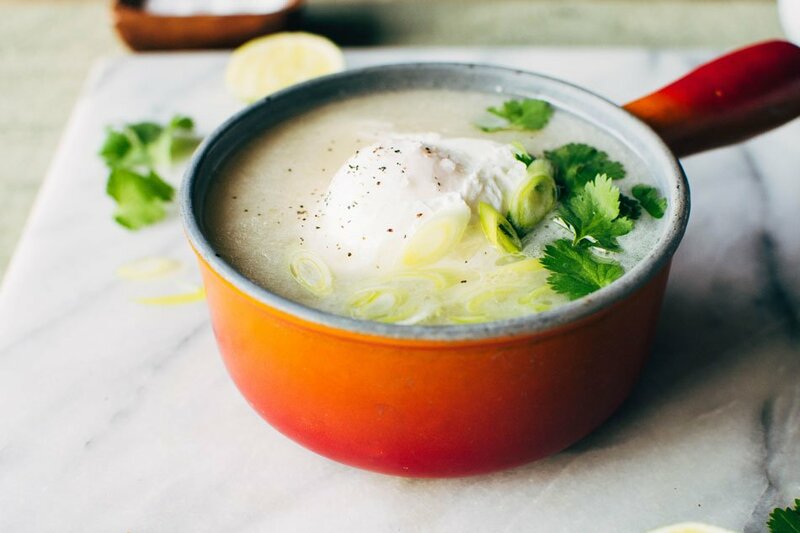 I made this again today and added some leftover roasted cabbage wedges when I heated up the broth and it was the bomb. 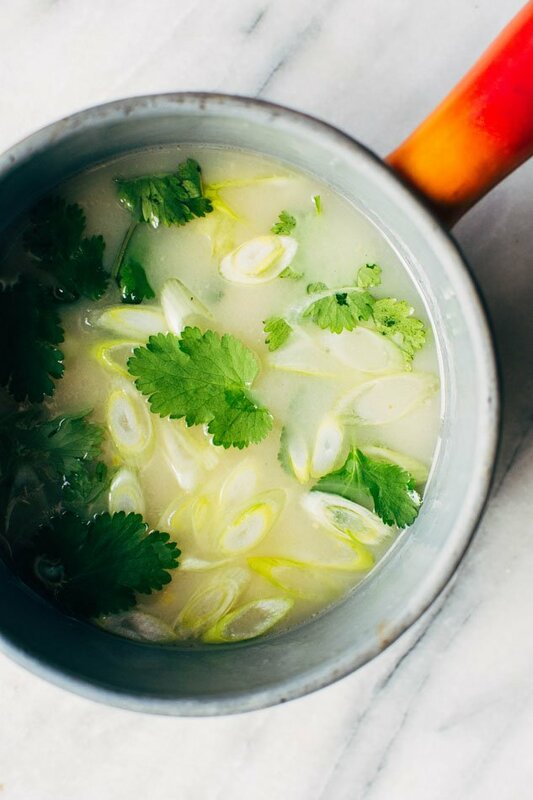 Well that was kind of a long post for such a simple recipe, but hopefully you’re inspired to heat yourself up a simple sipping broth this week to help ward of the chilly weather + sniffles that are all around this time of year! 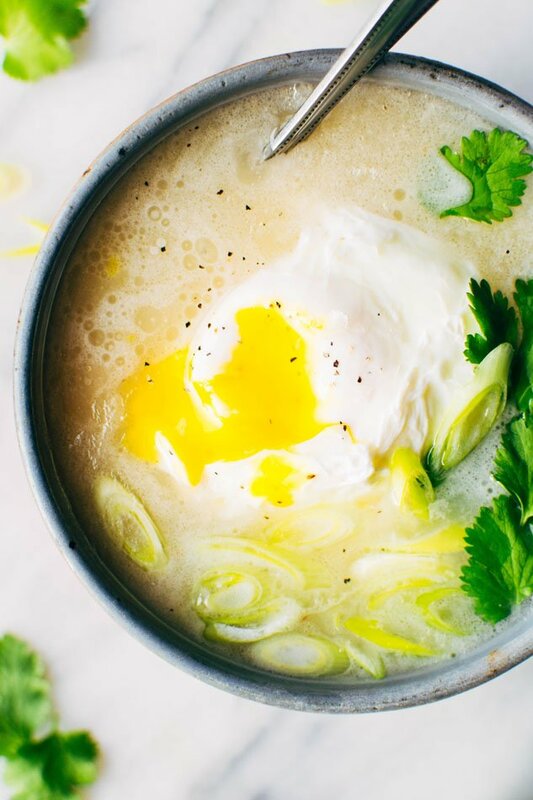 Simple sipping broth with a poached egg! 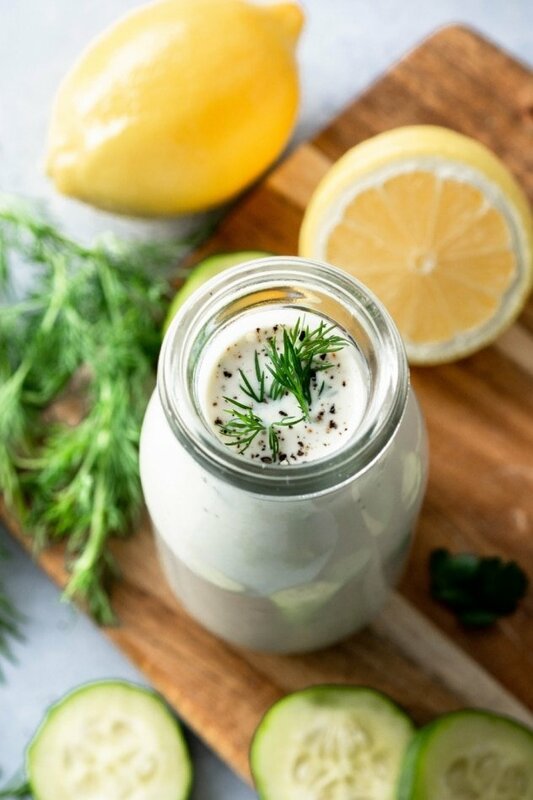 Your perfect go-to healthy pick-me-up // fridge clean out meal when you need a little extra something in your life. 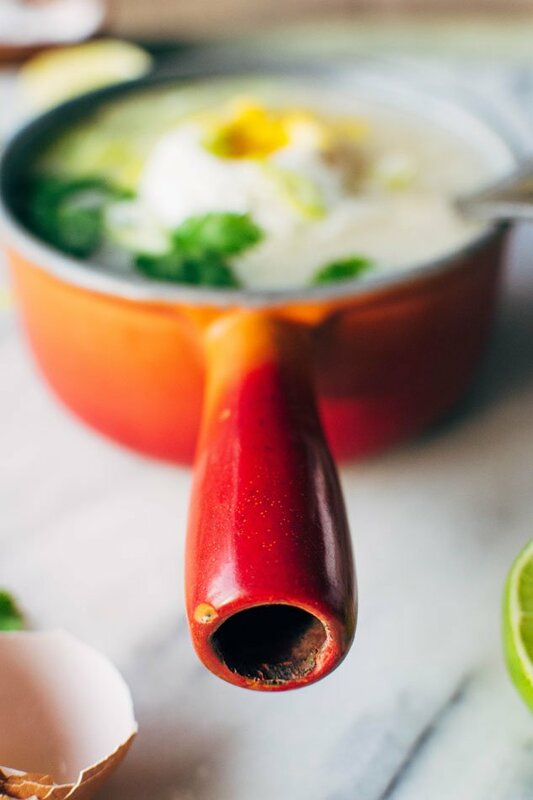 Made with high quality broth, fresh herbs, coconut milk and a poached egg this little pot is gauranteed to having you feeling fine in no time! Fill a large shallow pan with about 1 1/2 inches of water and bring to a boil. Lower to a bare simmer and add 1 tbs apple cider vinegar. Place a large mason jar lid ring into the center of of pan and crack an egg into a small bowl. 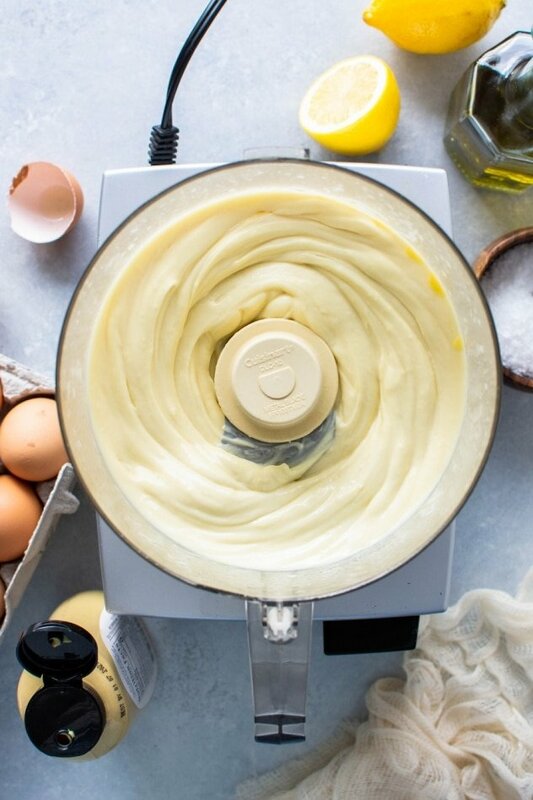 Quickly stir the water in the middle of the pan to create a small vortex and gently tip the egg into the center of the jar lid ring. Set a timer for 4 minutes. 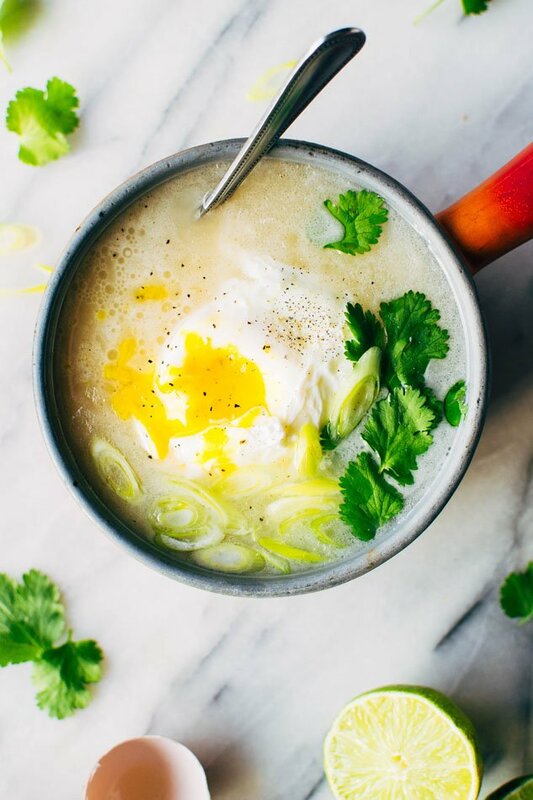 While egg is cooking slowly warm 2 cups of broth to a bare simmer, add coconut milk and season with salt and lime. If using, whisk in gelatin until dissolved. Remove egg from water with a slotted spoon onto a plate. 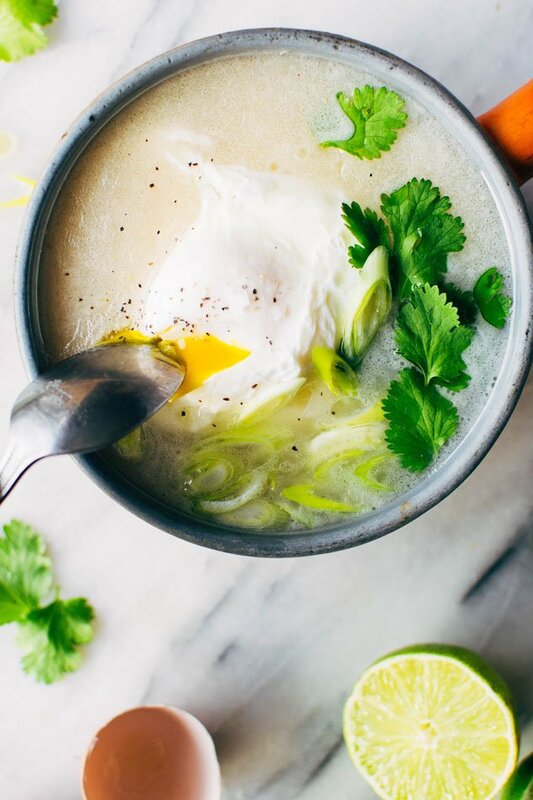 Pour broth into a bowl or mug and top with thinly sliced green onion, cilantro, egg and a bit of freshly ground black pepper. 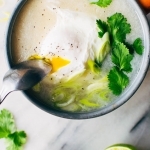 This entry was posted in drinks, lunch, soups and tagged bone broth, broth, easy, eggs, gluten free, grain free, healthy, paleo, quick, soup, vegan, vegetarian on February 8, 2017 by Nyssa Tanner.